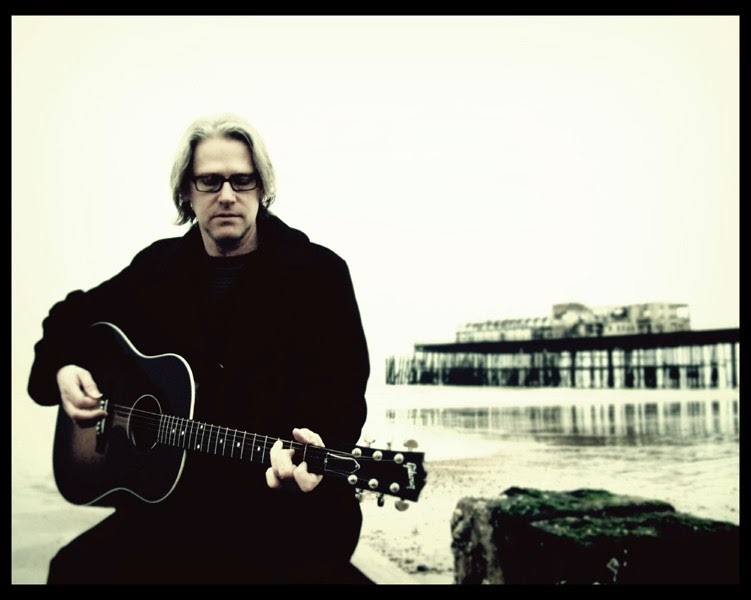 With strains of classic early seventies American singer-song writing, Paul McClure has announced his arrival as a solo artist with an album full of raw sentiment and stripped back sensibility. SMILING FROM THE FLOOR UP is the latest recording under the Clubhouse Records banner and complements perfectly the label’s wealth of slightly more rock flavoured material. For this debut album, the former HI and Lo band member McClure has put his songs firmly and deliberately in the foreground with an uninhibited invitation to share his thoughts and experiences. The result is a 10-track compendium of no thrills revelations to rival the output of any touring US troubadour preaching the gospel according to Van Zandt, Dylan and Young. Before you even slip the CD into the slot, the extensive sleeve notes indicate what the record means to McClure who values the sparseness of the production as much as the therapy derived from committing his soul to song. Aside from the feelings of the performer, the listener is well rewarded for choosing this record by a trio of strong tracks cementing the core of the album. Each time ‘For You’ is played, which for me was rather numerous, you can’t help but be reminded of The Eagles in their prime with ‘Lyin’ Eyes’. This stand out track is well served with a sumptuous chorus melody designed to bypass any bands of resistance. Along the same lines, ‘Keep It Together’ possesses a stellar intro which hooks you straight in and is guaranteed to warm any strained emotions. In a record where the ballad is king, the fabulous and punchy ‘Any Number You Like (As Long As It’s 4) rises like a beacon to remove any potential lulls of listening complacency. McClure switches to piano for this number which for me had a remote similar sound to some of Todd Snider’s material. This track contained backing vocals from Hannah and Alex Eton-Wall of Redlands Palomino Company. In fact Hannah also supplied a delicate female vocal contribution to ‘Pollyanna’ and ‘Keep It Together’. The camaraderie of the Clubhouse operation also saw Joe Bennett from The Dreaming Spires play lap steel on the title track ‘Smiling From The Floor Up’ but McClure felt he needed to limit the quality support available to him and this added to the legitimacy of it being an album truly from the soul of its creator. McClure’s mission statement was for the songs to speak for themselves and the live album feel to the record suggests this has been accomplished. He subtly adds an optimum amount of acoustic, piano, accordion, drums and ukulele to each number and the highest praise possible is to compliment the song structure and state that wider instrumentation is not missed. This record will sound great in some of the country’s intimate listening venues and probably better still, the growing house concert movement in this country. 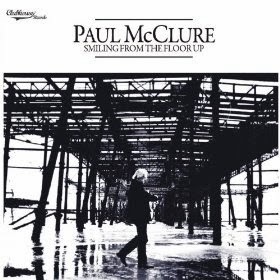 Paul McClure has shown in making SMILING FROM THE FLOOR UP that great song writing talent is prevalent in the UK’s folk/Americana/alt-country scene and that one day the mainstream music media may wake up to embrace the sounds. Meanwhile those in the know are not going to spend time waiting for the rest of the world to catch up and will just keep on enjoying the material these fine artists continue to share with us.